This Doaba area, beautiful amalgamation of plane and hills, has several religious places. Even in today’s modern world people believe in spiritual and religious activities. This piece of land has blessings of many Saints, Guru’s, Peer’s and Faquir’s. 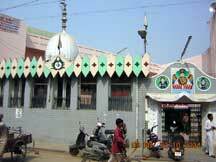 Many Gurudwaras, Temples and Mosques had been built in different parts of the district in their memories. Ancient Temple in Rahon. Mausoleum of Tara Singh Geba, Centuries old temples at Garhi Kanungo’s, Bhaddi, Aur, Sahiba and Mosque’s in Muslim’s populated villages, mirrored the spiritual dedication of the people. 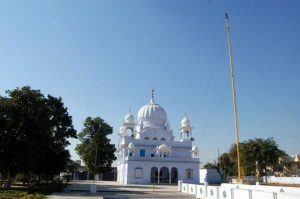 This Gurudwara is situated at village Hakimpur of tehsil Banga district Nawanshahr which is at 5 Km south from Bahiram railway Station and two yards towards east from village Hakimpur. 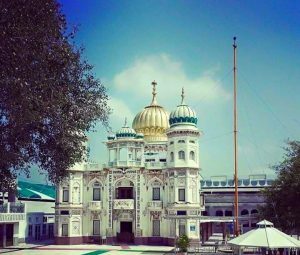 Guru Hari Rai Sahib ji rested here for few days while he was going from Kartarpur to Kiratpur Sahib. Peepal and Neem trees where Guru ji’s horses were knotted, exists presently. “Mahan Kosh”, written by Bhai Kahan Singh Nabha at page 692 states “Beautiful Gurudwara has been built. 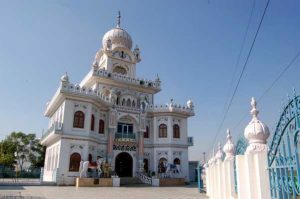 This Gurudwara was build by Maharaja Ranjit Singh also know as the “Lion of Punjab”. A Sikh is a priest. 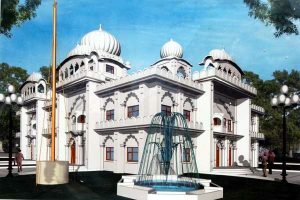 There is a beautiful pond at the eastern part of Gurudwara.” Which has now been disposed off and new pond has been build at the western part of Gurudwara. Gurudwara has neither any property nor any wealth to his name. This has also been said that Shri Guru Nanak Dev ji came at this place. 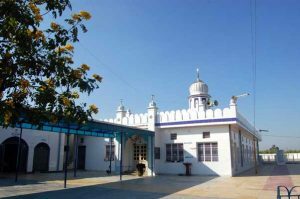 Gurudwara Charan Kanwal was made by Maharaja Ranjit Singh in the memory of sixth Guru Hargobind Singh Ji. After his last battle in which Guru Ji killed Pende Khan, Guru Ji came here and gave the blessing of milk to a zamindaar, Jeeva. The village was named after him as Jeendowal. 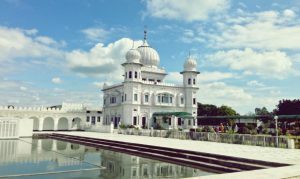 There is a big pool in front of the Gurudwara which was built by the daughter of Sardar Dhanna Singh and the building of langar was made by Bhai Seva Singh. The management of the Gurudwara is in the hands of SGPC. According to the Mahan Kosh’s Page No. 418, 6th Sikh Guru stayed here for some days. A fair is held here in the month of July every year. After his last battle Guru Ji came here when he was going towards Kiratpur Sahib. The well from where Guru Ji drank water is still here. One kilometer towards the west there is a village of Thana Behram named Chak Guru and Gurudwara Gurpartap is situated here. Guru Teg Bhadur is said to have visited this place and seeing the shortage of drinking water he got a well dug here. Maharaja Ranjit Singh gave the land of the village to this Gurudwara. It is said that Guru Har Rai Stayed here for few days when he was going towards Kiratpur Sahib in 1713. In 1711 a battle was fought by Banda Bahadur at Rahon and the sikh soldiers who got martyrdom were cremated here. At this place in 1767 a battle was fought by Godria Singh, Lodria Singh and Roop Kaur against subedar Shamas Khan. He had abducted a girl from Behram. The sikh soldiers who got martyrdom were cremated here. Guru Teg Bhadur Ji stayed here while going towards Kiratpur Sahib. Mata Gujri, Balaki Rai, Bhai Mati Das were also with him. 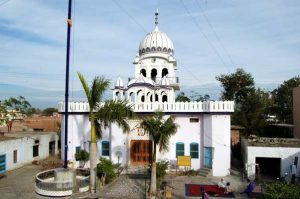 In village Hiyala situated in the lap of Nawanshahr there is beautiful Gurudwara named “Baba Bhai Sikh”. At this place a big fair is held very year on and a day after Dussehra. According to a myth Baba Bhai Sikh was a native of village Jhingran. Then he started living here. He used to graze cattle. Along with his work he used to meditate and give spiritual discourse to the people. According to him “To serve humanity is the greatest worship of God”. The place where Gurudwara is built used to be the residence of Baba Bhai Sikh. Gurudwara Singh Sabha was built in 1928. 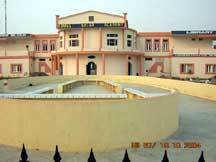 In 1914 railway station came into existence, foodgrain market was established. Bhucher family made an inn here. But there was no arrangement of the food for the passengers there. There was no Gurudwara in the city. 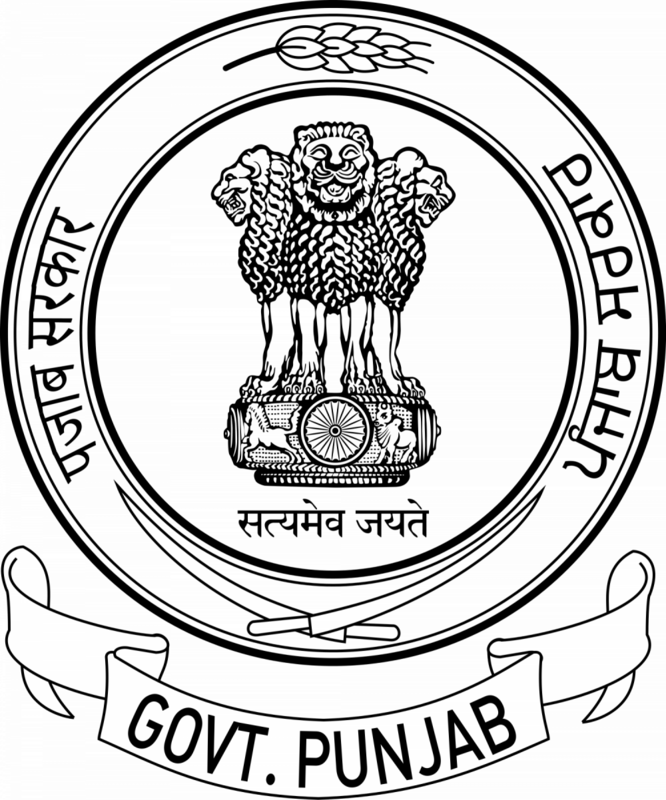 A committee was made to purchase the land for the Gurudwara. It had 25 members. This committee bought the land and the construction of Gurudwara started . After Jaswant Singh, Jagjit Singh Bajwa, Fauja Singh, Major Singh and Thakur Singh became the chairman of this committee. Some 23 years ago when people were satisfied with the working of the old committee. A five member board was created. Its member include Joginder Singh, Mohinder Singh Bajaj, Saroop Singh Urapar and Harcharan Singh Mahajan. This committee has done a lot of work which is quite appreciable. More land was purchased a school was built, Langar Khana, residential rooms, office and a hall of 3600 feet was built by the new board. In Rahon there is an old Sarovar and temple named Suraj Kund. It is situated in the south direction. According to a myth in India there are only two and a half kund’s of which one is in Rahon, one is in Kurukshetra (Haryana) and half is in Haridwar near “Bhim da Goda”. All these Kunds are related with Pandava’s of Mahabharat. At Mandali there is a Roza of Abdulla Shah Kadri, one of the eight sons of a muslim Saint Gospaal. This roza was built by Baba Abdulla Shah Kadri when he was alive. According to a myth the train did not use to stop in Kultham. With the miracle of Baba Abdulla Shah Kadri the train started stopping here. That is why railway station is named after him as “Baba Abdulla Shah Kadri Railway Station Kultham”. After Baba Abdulla Shah the roza was looked after by Fateh Shah, Baba Gulami Shah, Data Ali Ahmed Sambha, Shah Kadri, Baba Nur Shah. Now a days it is looked after by Sai Bhajan Shah Kadri. A fair is held every year in the month of June – July. All the famous Quawwals and Ghazal artist think it must to come here on this fair. In 16th century Baba Raj Dev, who was related with the king of Jaipur’s family came here and started meditating here. After his death his son got made a temple here in his memory in 1596. In 1534 when Himayun and Sher Shah Suri were going to fight Sher Shah Suri came here to seek Baba Raj Dev’s blessing. 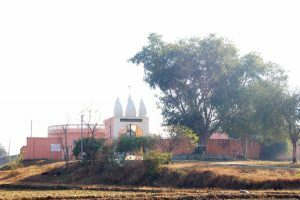 In village Dariapur near rahon , Kirpal Sagar is built as a sign of human unity. At this place the worship place of four religions (HINDU, MUSLIM, SIKH, CHRISTIAN) are made at the four corners of an egg shaped pool. In between a pyramid, a common symbol of four religions is under construction. This SHIVALA is as old as the history of Nawanshahr. It is situated next to the office of Municipal Corporation Nawanshahr. This SHIVALA was made by the Chief Minister of Maharaja Kapurthala, Banna Mall. He also made here a temple and a hospital. At that time there were no trains and motor cars, people used to travel on foot or on a bullock cart. Deewan Banna Mall used to come to Nawanshahr on an elephant that is why the main gate of the hospital is so big. Free food was given to the people coming to this hospital. Now a days this SHIVALA is looked after by a committee. All the relatives of Banna Mall have gone from here. 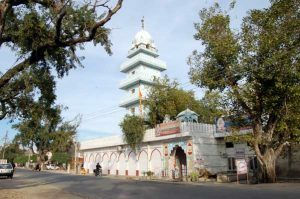 Gurudwara of Shri Raja Sahib Nabh Kanwal is at (Nau-Abad) Majara Raja Sahib . Religious places associated with it are also at village Jhingran and Rehpa. 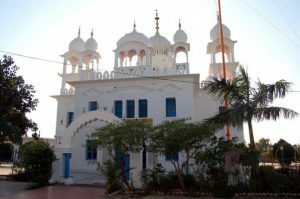 There are beautiful building of Gurudwara in these villages. The foundation of Sanehi Mandir was laid on 18 December 1869 by Pandit Nihal Chand Gautam, Pandit Mool Raj Gautam, Pandit Shri Kant Gautam, Engineer and Pandit Indu Dutt Gautam. This temple was made in six years. 18665 Rs. Were spent to built this temple. 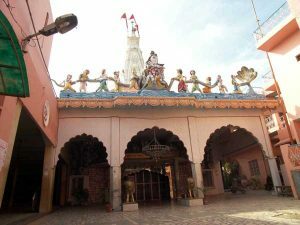 This temple was inaugurated on 15 December 1865 under the observation of Pandit Vishwanath, Deputy Commissioner Jalandhar and eleven pandits were invited from Banaras for the religious ceremonies. The idol of Mata Chintpoorni was brought from Jaipur. After seeing the delaying condition of this 120 years old temple the committee named “Sanehi Sankirtan Mandal” was created by some responsible people of the city and some social workers also included in it. With the efforts of this committee the condition of the temple is improved. Now marriages of poor girls are performed every year in this temple and dowry is also given to them by the organizers of the committee.